The sequel to State of Decay was announced at E3 2017. Unlike the original game, the newest instalment in the zombie survival franchise now includes online multiplayer. 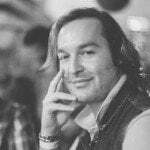 That was the biggest missing feature and criticism of the original game. Now as the sequel gears up for launch, Microsoft has announced a horrific State of Decay 2 Collector’s Edition. State of Decay 2 will be available in three different flavours. There is a standard edition of the game, an ultimate edition, and the most terrifying of the lot; a unique and zombified collector’s edition. It is also worth pointing out that the standard edition of the game will be available to Xbox Game Pass members on the day of release: 22 May 2018. There is no doubt that the State of Decay 2 collector’s edition has been made for fans of the game and zombies in general. 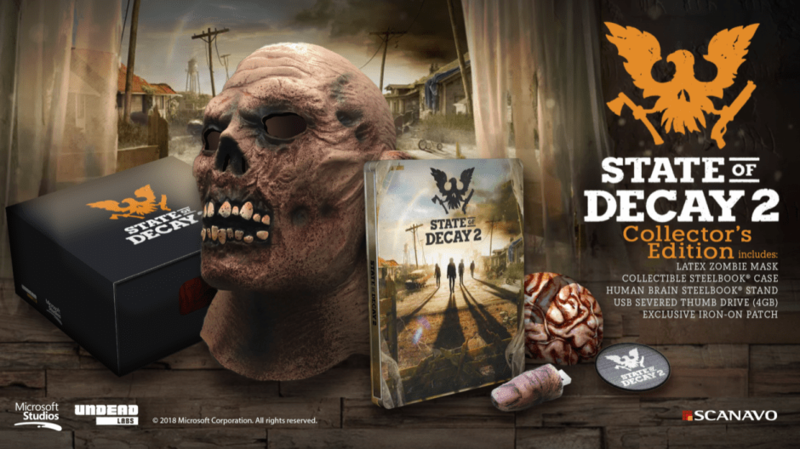 This version is a true State of Decay 2 starter kit, and comes complete an exclusive SteelBook case, a “thumb-drive”, a State of Decay 2 patch, a human brain SteelBook stand and, the pinnacle of the set, a latex zombie mask. Perfect for freaking out fans during live streams, or anyone else for that matter. The State of Decay 2 collector’s edition has a suggested retail price of USD $69.99. However, there is one major caveat: the collector’s edition does not include the actual game. For all intent and purpose, the State of Decay 2 Collector’s Edition is basically a glorified physical addition to the game. In a way, it is a great option for people who are already subscribed to Xbox Game Pass (since the game is included in your subscription). It is also a good option for people who like to buy games digitally, yet who also fancy the goodies that often come with special edition packages. 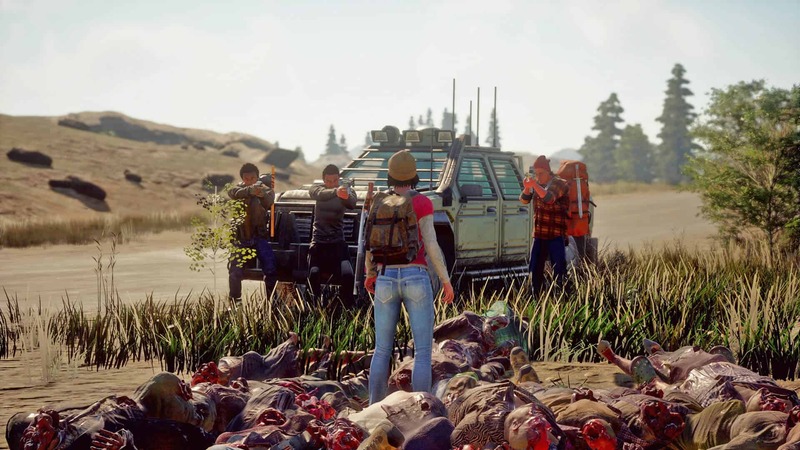 State of Decay 2 releases on 22 May 2018 for Xbox One and Windows PC. Xbox Game Pass members get the game as a part of the their subscription, whereas everyone else can purchase the Standard Edition for USD $29.99, or get early access and extra content in the Ultimate Edition for USD $49.99 or get the Collector’s Edition add-on (game excluded) for USD $69.99.